Keeping your roof in top condition not only looks good, but protects the rest of the house as well. Faulty shingles can lead to roofing problems, which can then lead to problems in the attic, interior and exterior walls, and ceilings inside the home. There are a few things to look for when it comes to deciding if your roof needs repair. Check for any shingles that might have come loose during the winter around the gutters. If gutters haven’t been properly maintained, ice dams can form during the colder months. This is when water is allowed to collect in a gutter and work it’s way under the shingles. Then it freezes, expands, and loosens roofing nails. This can happen three or four times during the winter, allowing more and more water each time. Shingles missing a lot of granules, are ripped or bent, is a sure sign of a failing shingle and needs replacement. This is an easy problem to spot. 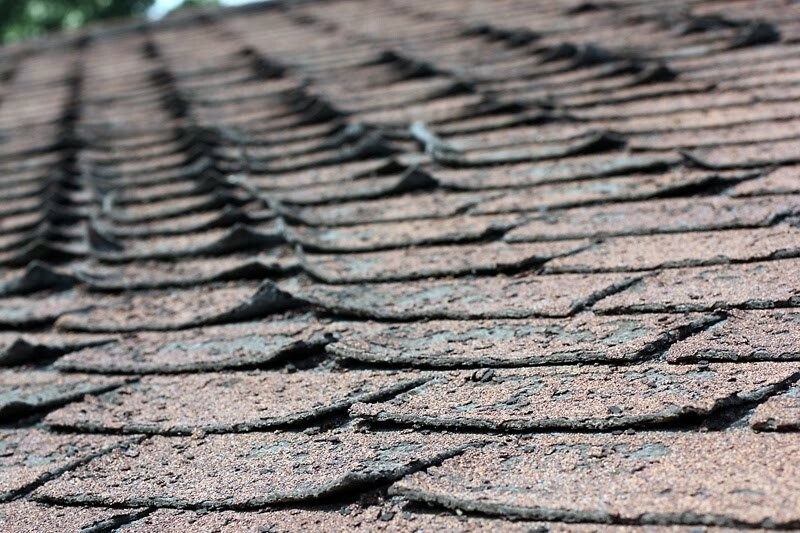 Even one missing shingle can cause problems throughout the home. If a shingle appears to be hanging on with just one nail, it can leave other roofing materials in danger of damage as well. While moss itself won’t necessarily cause damage to the shingles, it can hold moisture that can work its way under the shingles. If that water freezes, it can loosen shingles, allowing more water to leak in. If water spots appear on the ceiling, this can mean water is pooling in the attic. While this could be a plumbing issue as well, a roof inspection can remove all doubt. If water is able to work its way under the shingles, the water can leak down the walls and settle at the base of a wall. This could affect flooring, baseboards, and drywall. Quam’s is experienced at finding damaged shingles and fixing the problem quickly. If you can see damaged shingles, or are experiencing ceiling or wall discoloration, call Quam’s today. We can inspect your roofing and let you know what the problem could be. If your home needs some new shingles to provide a new look or to freshen up the existing look, give Quam’s a call. We have the experience to get the job done correctly, safely, and on time.